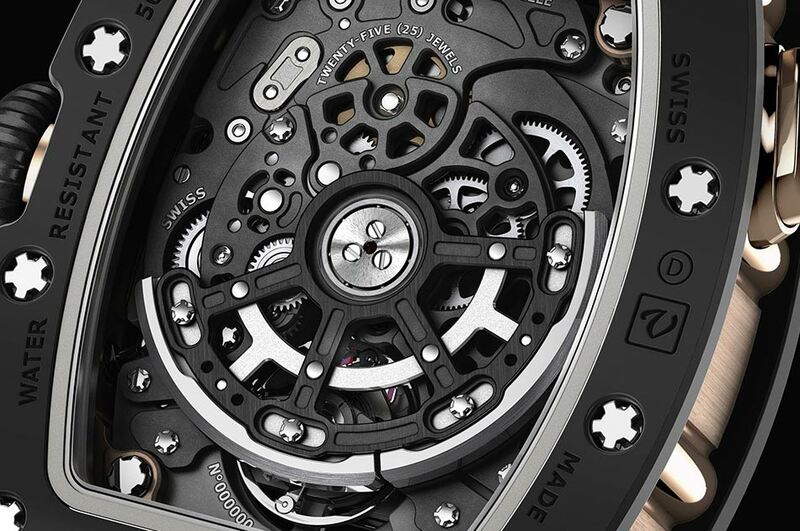 NTPT carbon is a signature feature of the Richard Mille men’s collection lending watches a powerful look while ensuring a robust end durable protection for the movement. With the new RM 07-01 and RM 037, Richard Mille extends to the feminine universe the use of this hi-tech material by gem-setting it. 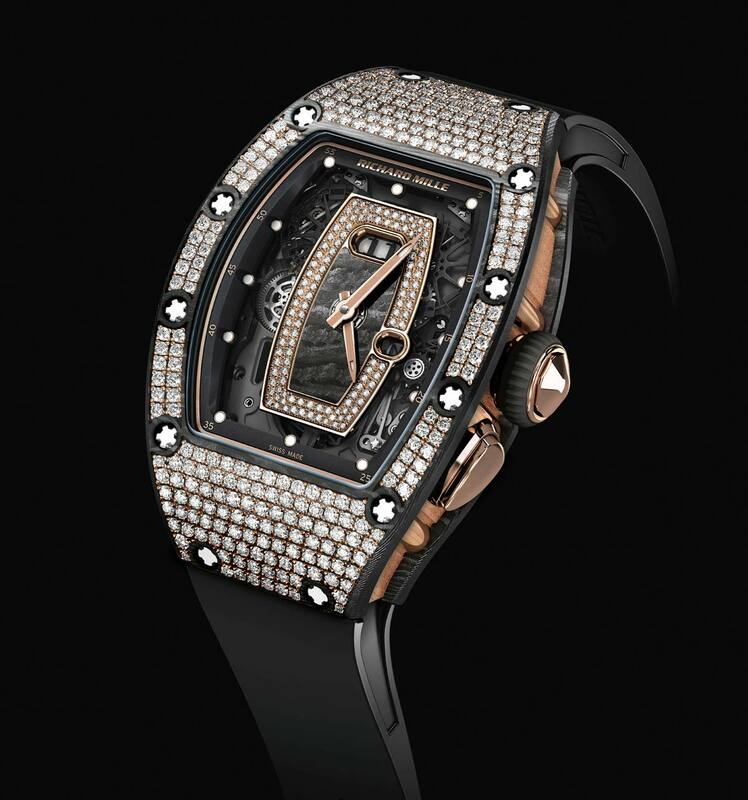 Setting gemstones in NTPT carbon is the latest challenge won by Richard Mille. 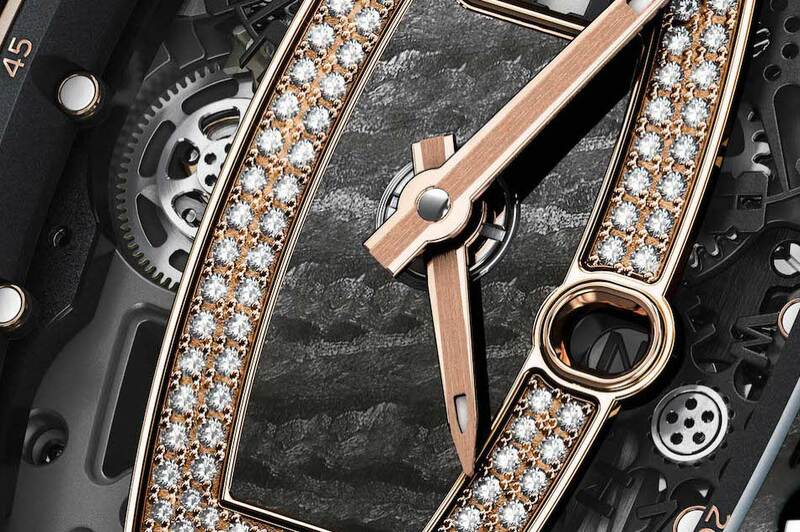 Hand-polished prongs in red or white gold are produced separately and then inserted around the many 0.25mm bearings destined to firmly contain as many as 250 diamonds in the case of an RM 037 Full Set model. Both the RM 07-01 and the RM 037 feature a patented stem-crown construction which allows the integrity of the movement to be fully guaranteed and protected from external influences, since it does not use a classical crown attachment going into the depth of the movement’s heart. 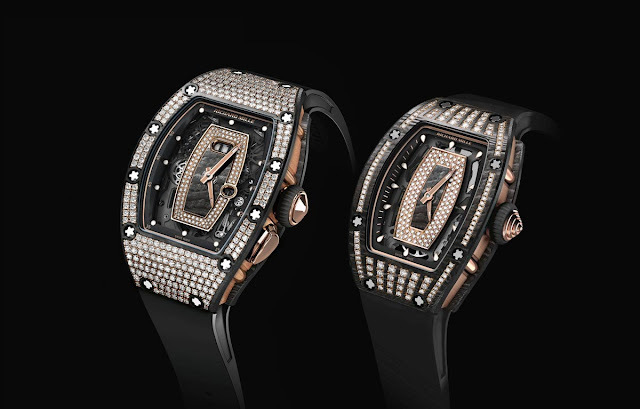 Richard Mille RM 07-01 and RM 037 with gem-set NTPT carbon. 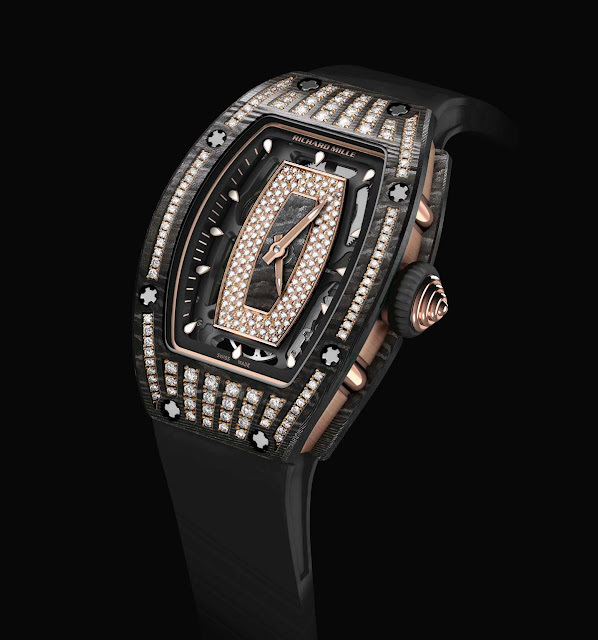 With the new RM 07-01 and RM 037, Richard Mille extends the use of this innovative material to the feminine universe by gem-setting it. 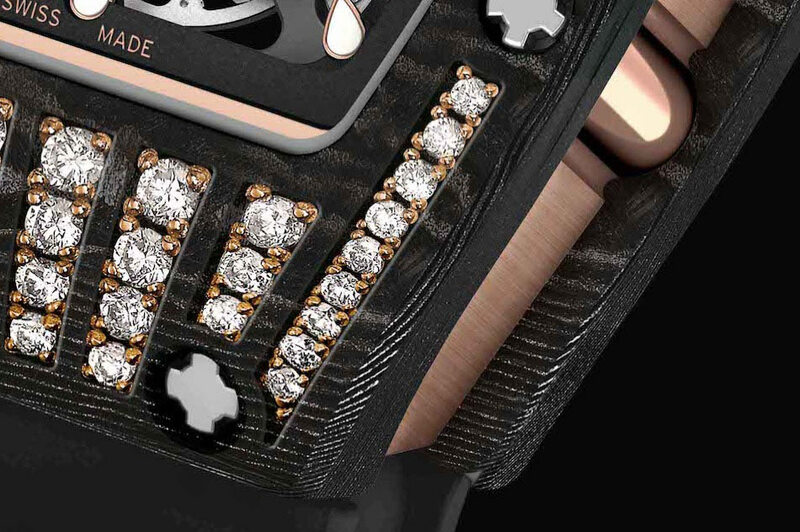 The combination of the technical excellence of the in-house automatic movements with variable geometry rotors with the stunning cases and dials adorned with diamonds and NTPT carbon makes the RM 07-01 and the RM 037 truly unique creations of rare refinement.